Enjoy a three-course meal on a 2-hour sunset cruise (7:00 pm – 9:00 pm) as we weave in and out of the many close-knit islands. 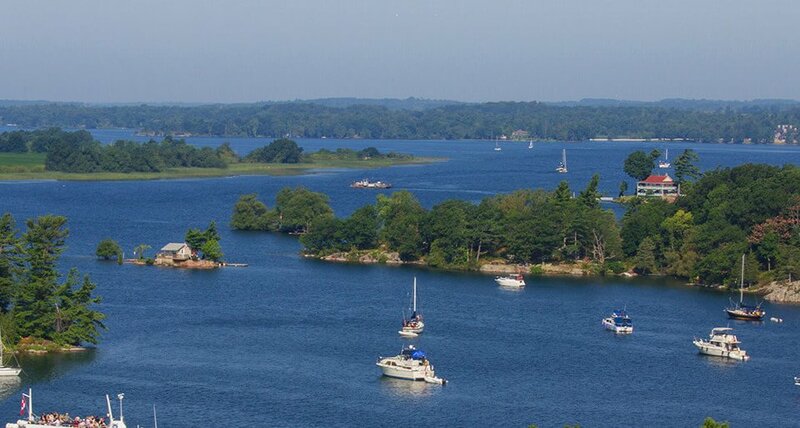 Relax with live music and the 1000 Islands as your ever-changing backdrop. Spare Change is a popular local 1000 Islands band featuring Tim Hallman on keyboards and vocals, and Doug Gravelle on drums and vocals. Their music style includes 50’s to 70’s pop, old time Rock-N-Roll, Swing and Country. Tim is a professional pianist/keyboardist and Doug is a veteran entertainer formerly of the 60’s and 70’s recording group “The Bells.” After dinner, they’ll have you dancing through the Islands. Grilled Spiced Pork Chop with Apple Butter, Roast New Potatoes, and Vegetable Medley. Includes salad and dessert with tea or coffee.